Halloween Wallpaper. An official wallpaper from SanrioTown!. 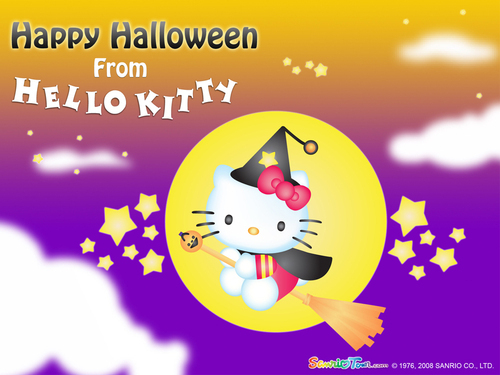 HD Wallpaper and background images in the Hello Kitty club tagged: hello kitty wallpaper sanrio halloween. I'll put that up for Halloween!! yeah this is cute i can def use this pic for my yt !!! !